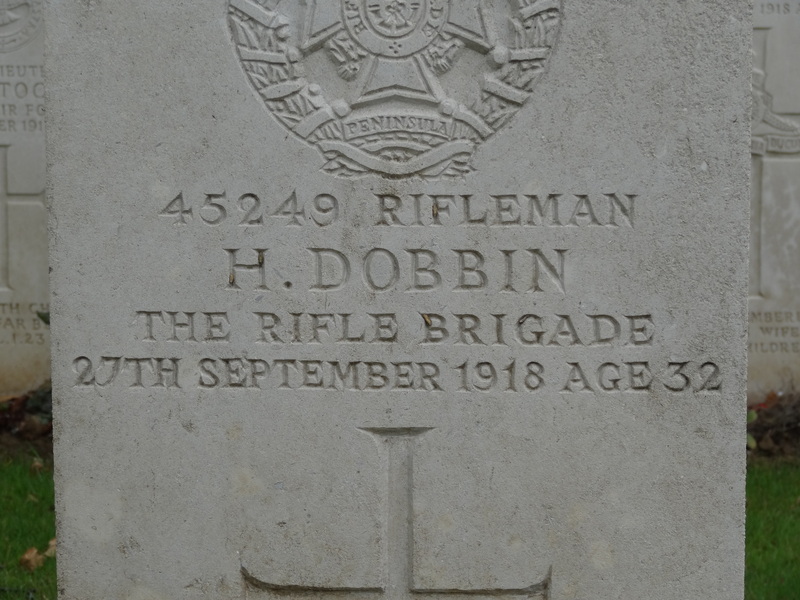 45249 Rifleman H. Dobbin, 1/5th London Regiment, Rifle Brigade (The Prince Consort’s Own) was killed in action 27 September 1918, is buried in Chapel Corner Cemetry, Sauchy-Lestree, France  and is commemorated on the St. Helens Colliery Memorial Cottages. He was 32 years old, married to Nora and they had at least 2 children, Ethel and Mathew. 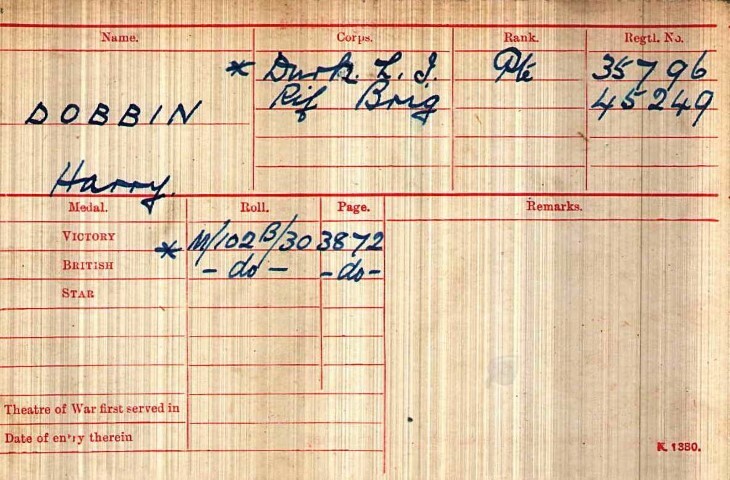 Harry was employed as a colliery fireman.